I’ve always wanted to go here ever since my cousin went two years ago. I don’t know why I didn’t go last year though. I know when my cousin went, I found out too late. 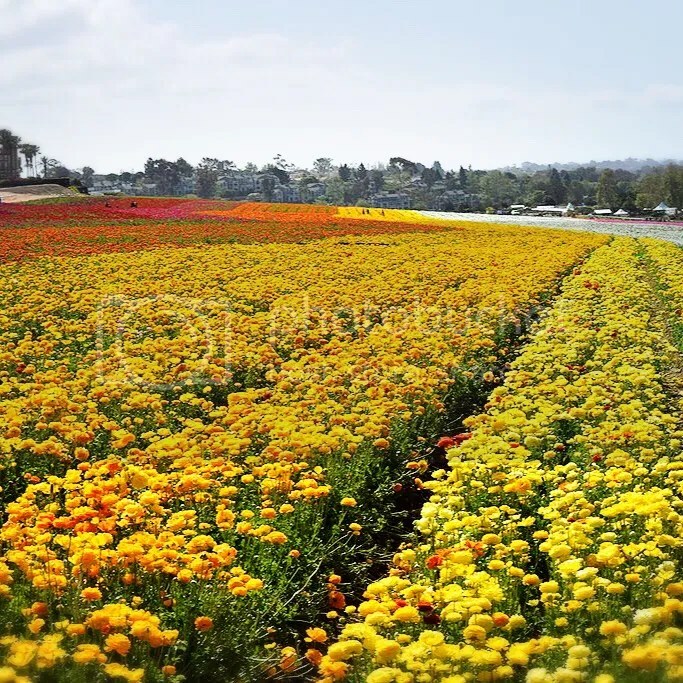 The Flower Fields at Carlsbad Ranch in Carlsbad, CA, are in bloom for approximately six to eight weeks each year – from early March through early May (This year from March 1, 2016 – May 8, 2016). It’s about 1 1/2 hour drive from Los Angeles without traffic. I recommend to leave early so that you don’t get there when the sun is at its peak (there’s no shade). It’s open seven days a week from 9 am to 6 pm. Tickets for Adults are $14, Seniors are $13, and Children 3-10 years are $7. I do recommend the Wagon rides. Adults $5 and Children 3-10 years $3. Why? Well, the ranch plant the seeds starting from the north end and continue to plant during the season towards the south end. Currently (in March), the north end is in full bloom while the south end is a bit barren. The entrance is in the south end and the fields are about 50 acres wide. You can imagine in the CA sun that walking in those conditions are a bit unbearable but doable if you’re up for the challenge. I opted to pay the $5. The wagon ride goes around the fields and stops at the north end for 10 minutes. You can get off or stay on. If you get off, you can stay as long as you want and wait for the next wagon. The beautiful flowers are called ranunculus; which is native to Asia Minor. The flowers are separated by the colors, red, yellow, orange, white, etc. You’re technically not allowed in the field, but the ranch has sectioned off a path in some areas so it looks like you’re in it. They do have other flowers like roses, snow peas, poinsettias, etc. but the prominent reason why many people visit is because of the Flower Fields. I was really amazed by all the flowers and got really nice pictures. This is a must when you’re on your way to San Diego if you come between March and May. 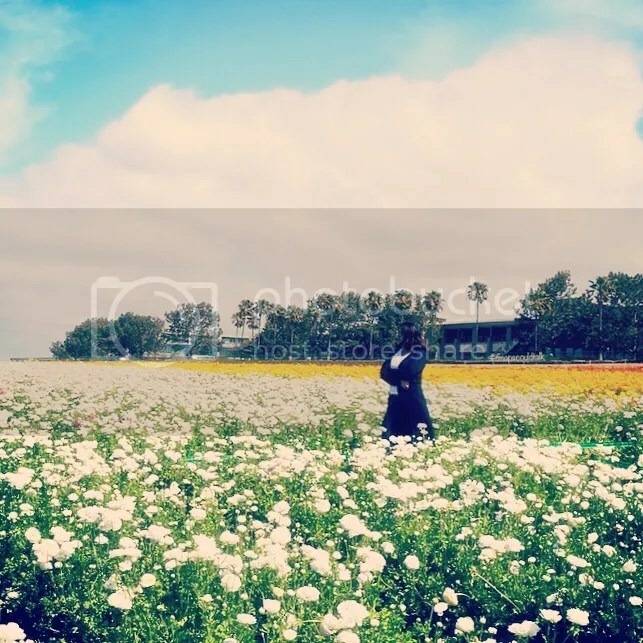 This entry was posted in Events, San Diego County and tagged Carlsbad, Other, San Diego County, the Flower Fields. Bookmark the permalink.